I live in Texas… I love some good Tex Mex! I grew up in New Mexico… I do NOT like spicy food! (I’m not sure what growing up in New Mexico has to do with that…) I really love the flavor of a good pepper, but I am a huge wimp when it comes to heat. 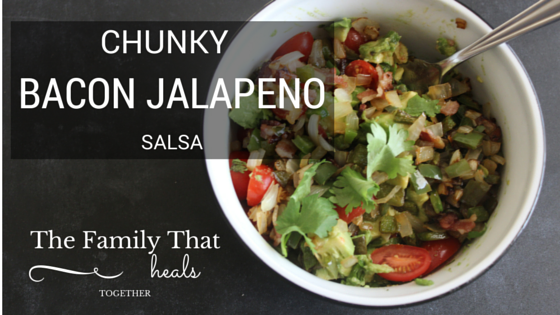 This salsa balances a mild pepper flavor with some fun, tasty flavors that compliment each other well. If you’re not a wimp like me, you could sub some hotter peppers for a spicier flavor. 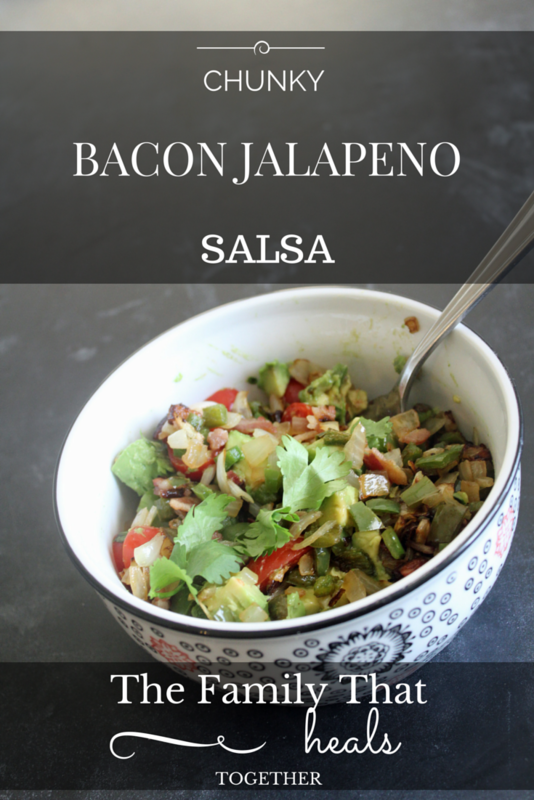 Go make this easy bacon jalapeno salsa! Optional: Fresh cilantro to taste, or about 1-2 tablespoons. 1. Fry the bacon until crispy, then remove from heat to cool. Reserve the bacon grease in the skillet. 2. Sauté the diced jalapenos and onion in the bacon grease for about five minutes on medium-low heat. 3. 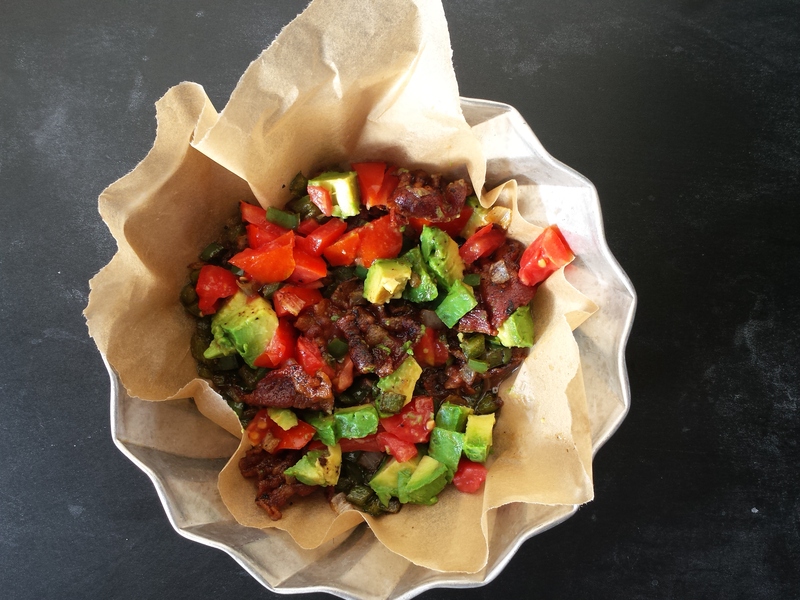 Crumble the cooled bacon and add it together in a bowl, along with the sautéed veggies and tomatoes and avocado. 4. Add chopped fresh cilantro, if desired. 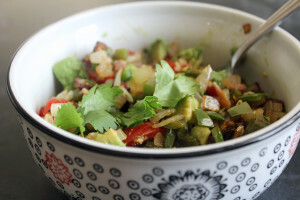 Easy peasy- and so flavorful! 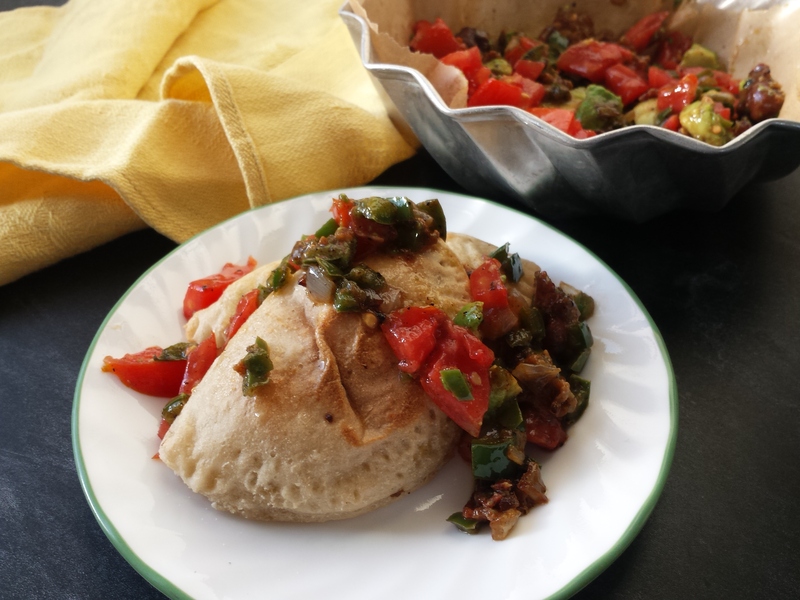 Y’all, do yourselves a favor and make these empanadas from Predominantly Paleo, then top them with this salsa! No seriously, make these empanadas!